Calchaquí Valleys (Spanish: Valles Calchaquíes) is a valley in the northwestern region of Argentina that crosses the provinces of Catamarca, Tucumán and Salta. It is best known for its contrast of colours and its unique geography that ranges from the mountain desert to the subtropical forest. 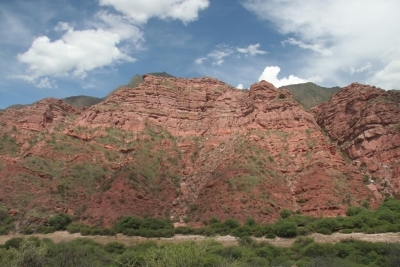 There are a number of valleys and rivers within the Calchaquí Valleys that have their own name, such as the Quebrada del Toro, Valle de Lerma near Salta city, the Quebrada de Escoipe formed by the Escoipe River, the Valle Encantado at the feet of the Cuesta del Obispo, the Quebrada de las Conchas of the Conchas River near Cafayate, the valley of the Santa María River, and the Calchaquí River itself.The "Quebrada of Cafayate" has the most impressive sights they are along the paved, 183-kilometres-long National Route 68 that goes from Salta to Cafayate. National Route 40 goes for 165 kilometres form Cafayate to Cachi del Valle, another of the most visited points in the area. 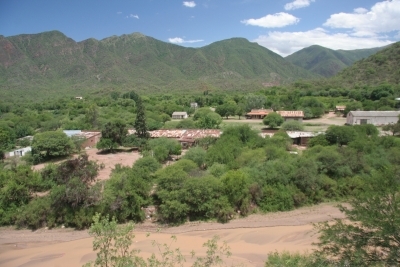 Other points of interest from Cafayate include Molinos, Tolombón and San Isidro ranch. 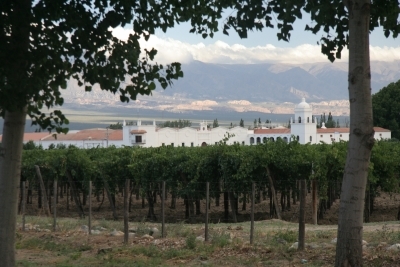 The town of Cafayate is an attraction by itself, with its laid-back rhythm, colonial style, and wine cellars open to the public.